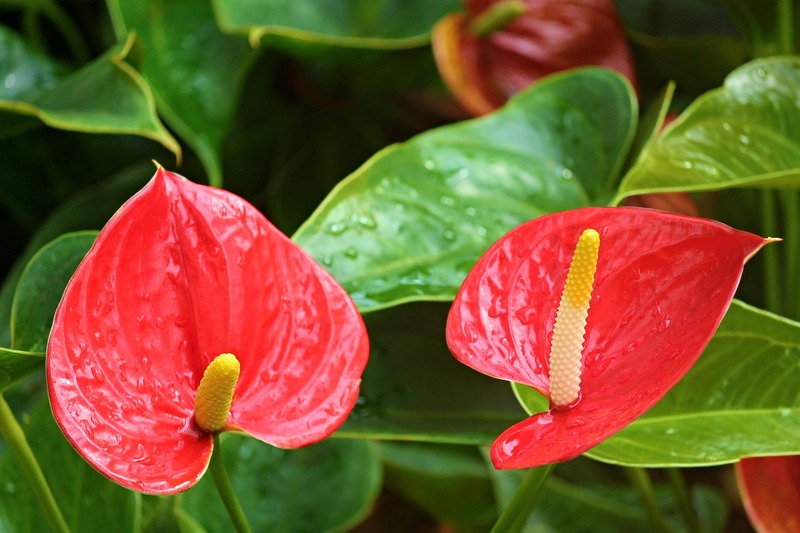 Anthurium grows in many forms, mostly evergreen, bushy or climbing epiphytes with roots that can hang from the canopy all the way to the floor of the rain forest. The stems are short to elongate with a length between 15 and 30 cm. The simple leaves come in many shapes; most leaves are to be found at the end of the stems, although terrestrial plants show less of this pachycaul tendency. Leaves may be spatulate, rounded, or obtuse at the apex.